New Santa Ana | Pulido opposes the Downtown Santa Ana PBID tax! 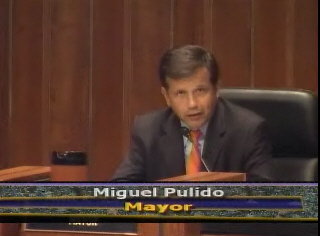 Pulido opposes the Downtown Santa Ana PBID tax! “Santa Ana Mayor Miguel Pulido said Monday he opposed allowing a controversial downtown property tax to continue, the mayor’s first declaration on the issue since he was given the OK by the city attorney to vote on the tax district,” according to the Voice of OC. Even worse for the corrupt PBID crew at Downtown, Inc., Pulido is now part of a 4-2 Council majority that opposes the PBID. The only PBID supporters that I am aware of are Council Members David Benavides and his longtime pal Carlos Bustamante. Mayor Pro Tem Claudia Alvarez has been a solid leader against the PBID for some time, as has been Council Member Sal Tinajero. Council Members Michele Martinez can’t vote on the PBID, as I understand it. But if they could I think that if she could she would support it. I guess Council Member Vince Sarmiento is part of the anti-PBID coalition too. Good for him. The last thing he needs to do is become even more unpopular, after barely beating the unknown and unfunded candidate Estela Amezcua in November. I am glad that Pulido is standing up for those who have been ripped off by the PBID tax for so long. And this is a great way for Pulido to get back at the PBID crew that paid for those awful campaign mailers that went after his kids. Imagine how mortified the Chase family is now? The PBID is dead and both Pulido and Alvarez won on Nov. 6. The money the Chase family blew on their hateful anti-Pulido attacks was utterly wasted. The other irony I am savoring is that the so-called Benavides Council majority has already been shredded – and the new Council Members haven’t even been sworn in yet. I said it awhile ago – and it has come true. Benavides is now seated at the little kids’ table and the adults are running the City Council. Now lest you accuse me of being overly negative I do have an idea to replace the lost PBID loot. It is simple really. The City of Santa Ana should install new digital parking meters in Downtown Santa Ana and start charging folks for parking at all hours. The debauched patrons of the Downtown bars can swipe their credit cards and contribute to our local city budget. This would only be fair as currently these folks get free parking – although families that shop in Downtown Santa Ana have to pay to park during the day. And if the City of Santa Ana really wants to make some money they should set up DUI checkpoints in Downtown Santa Ana, right by all the bars, every Friday and Saturday night. Those tickets could be quite a revenue source! And how about installing port a potties with digital meters so the Downtown drunks can pee where they should, and pay for it, rather than peeing, and vomiting, on our city sidewalks? Cha-ching! You see – we don’t need a PBID tax after all. Now that Pulido has taken a firm position against the PBID tax, isn’t it about time for Benavides supporter Dr. Art Lomeli to apologize for his awful attacks against Pulido this year? And shouldn’t Lomeli be a bit peeved that his amigo Benavides continues to support the PBID tax? Sigh. Some things never change in this town. It’s because of his leadership on this and other issues that Mayor Pulido was again elected in a landslide. Thanks to Mayor Pulido and Councilmembers Alvarez and Tinajero, this city has made progress. I too look forward to seeing Mr. Lomeli and the handful of of Pulido bashers come crawling on their hands and knees to ask for forgiveness! Let’s have a “Party At Pulidos” to say thanks to him and Tinajero and Alvarez for killing this PBID! Don’t believe everything you read. Nothing is dead. Far from it. Oh, the lies. Also, shame on Slumlords Irv Chase and his boy for screwing up the Downtown to the point that we have to Tax the small business owners just to keep their buildings fixed up. It is not a tax on the small business owner. It is a tax on the wealthy landowners. If you are going to offer criticism, at least you can learn the facts. The landlords pass the cost of the higher taxes to their tenants as higher rents and leases and as higher common area fees. And some of the landlords also run small businesses, such as Dr. Lomeli. Landlords in Irvine, MV, etc., pay higher property taxes and also a couple of layers of melo-russe taxes, and those are passed to the small business there too. Before the PDIB there was another tax all paid for by the small business with the landlords getting the free ride along with increasing rents. So don’t you think the owners who are making the money off the real-estate should pay the costs of maintaining that real-estate? Why did the city put together this PBID? Those now stating being agaist it were there ok’ing the agreement’s back when it started. What are the building owner’s going to do when their renters leave because of safety and cleaning issues? Is this the begining of the new DownTown Skidrow for Santa Ana? 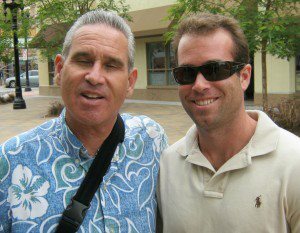 No single family has done more damage to Downtown Santa Ana than the Irv Chase family and it seems the apple didn’t fall far from the tree with his pisher son. The city of Santa Ana allocates how much of the budget to the Santa Ana Police Department? 80%??? and yet this city can not figure out a way to keep the Vital Downtown area safe? It is some kind of a con or extortion going on for the people of Santa Ana to be told that the city does not have the resources to keep Downtown safe. Do it with the private security guards or regular P.D. but don’t make manipulative excuses Santa Ana. Don’t believe everything you read. Insider said nothing is dead. Be ready for the…BOOM! It’s gonna be fantastic! Great points Mateo. They pay for the things they want to pay for (Past City Managers and City Attorneys retirements and Mega Buy outs for instance) as well as many other goodies for the employees of Santa Ana who don’t work on Fridays anymore either. I know that I make good points Gary Goy! except when I get too distracted trying to kiss up to the New Santa Ana Regime. They have the money to create and preserve a future for Downtown Santa Ana. But they want to know what is in it for them?$$? i figured out a good revenue source for the city. 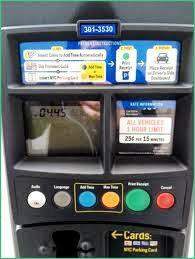 Give the councilmembers a 2o% commission cut on every new paking meter that they can tilt. I got my cousins from Sommerville to explain how Admin will get his new Revenue.